It has been a long and hard year for 2013. But here at JO’S ORGANIZING, it has been worth the effort. We are not just a team here, but a working family. We meet each and every Monday, of every week, to go over any possible problems and discuss the quality of our work. We discuss what our Customers need and want from us. 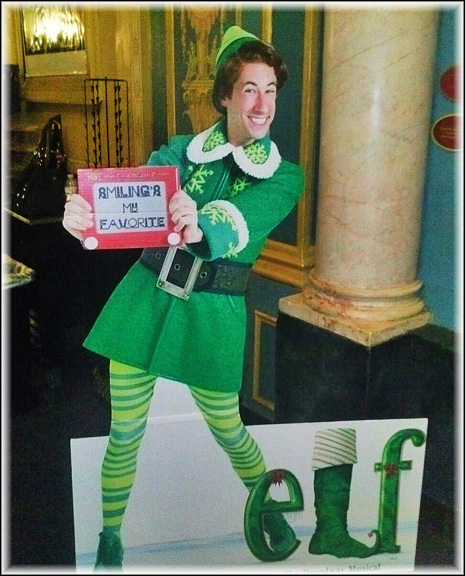 This keeps all staff members alerted to all of our customers. We are very proud to have been awarded the HBA “Sub-Contractor” of the Year this year. It just shows how quality team work and a staff that works together can perform such consistent and excellent work. 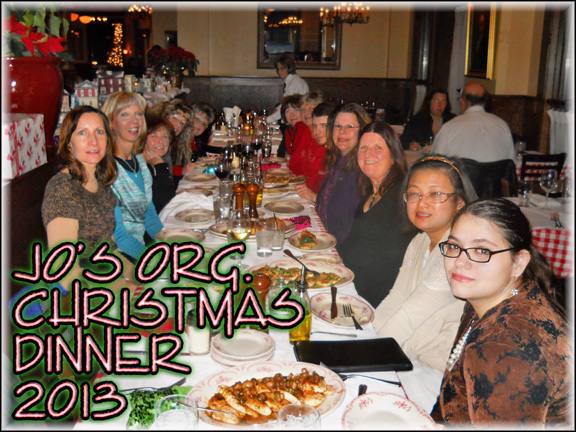 As like every year here at JO’S ORGANIZING, the entire staff got together for our annual Holiday, Christmas/Hanukkah Dinner, at our favorite Italian restaurant. Excellent service, wonderful food made for an outstanding meal. 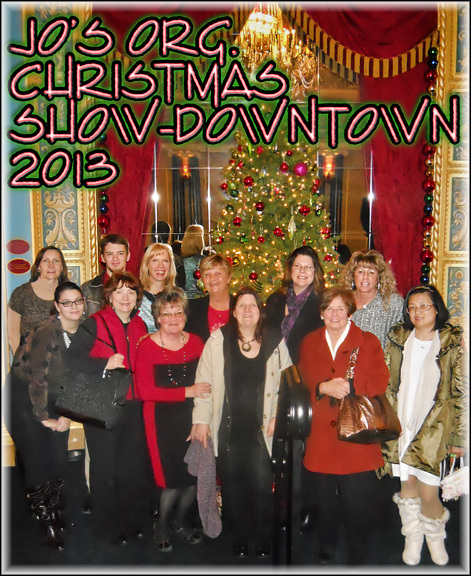 Following the meal, we all headed to the Detroit Opera House to see the Play…..”ELF”. Similar to the movie of the same name, starring Will Ferrell. Once again we had a superb time for the evening, with a great meal and some wonderful entertainment. We all spent just a little bit of time together, talking about the exciting year to come, in 2014. The expansion of our Organizing division, and the enlargement of the various Organizing supplies and shelving we will be carrying. These expansions should fill in the gaps here and round out our services of both Cleaning & Organizing, as well as moving and set-up, Elderly Down-sizing, and large “Purge Clean” style projects. 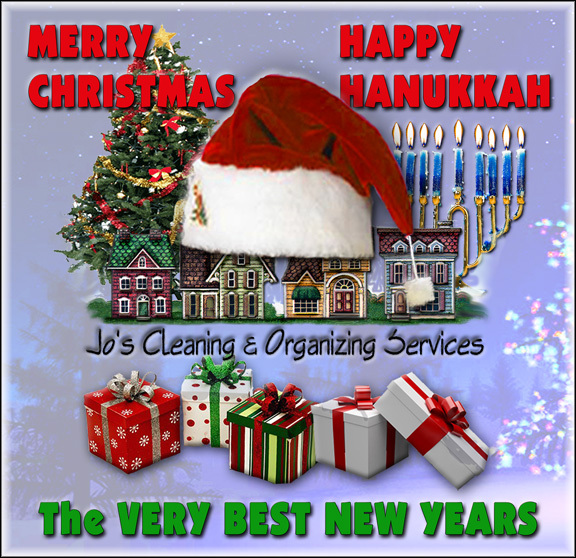 From everyone here at JO’S CLEANING & ORGANIZING, we would like to wish all, a Happy Holidays, Merry Christmas and the very Best of the upcoming NEW YEAR!